Cars and automobiles are the most used mode of transportation in the world. They rival any other form of transportation as it is accessible to most people. Cars are fast and easy to use and can bring you anywhere over long distances. So anyone who has a car or uses cars should always make it a point for them to be able to take care and maintain a car. If not taken care of right away, some of the most common car problems can turn out and become something more difficult to fix. There are more than several car problems that can and should be addressed as soon as it manifests or else you might end up with a bigger problem. More than you can even imagine. This has probably been one of the most common car problems. What car can run without a good set of proper tires. And if not careful you might end up with a huge problem. 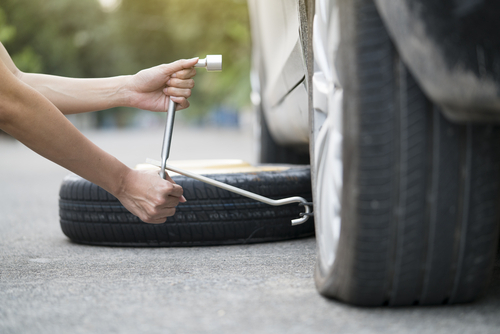 Flat tires can occur to your car from excessive or overuse of the tires. They gradually wear out until they have a leak. Make sure to always check your tires before going out and ensure that they seem firm and they’te not leaking air. Should you find while driving that your car seems a bit slanted or lopsided to one side, identify which side you are leaning to and check the tires on that side. Go to the nearest gasoline station or car service center and fill those tires with air. Now in the event that your tire becomes flat completely, this is where you will need to learn to replace a tire. Most cars come with a spare tire in the trunk as well as a car jack and a lug nut ratchet. Place the car jack in an area under the car’s frame to raise the car. Start removing the lug nuts off the tire, remove the tire and place the spare. Naturally place back the lug nuts and tighten. You get back to your car and find that you left your headlights on or the lights inside the car has been left on. If this happens, you might end up having a hard time turning on your car when you try to start your engine. This is possibly because the battery of your car is drained. Cars to date need a bit of electrical energy for it to run smoothly. It operates all the onboard electrical equipment but it also handles the start up of the engine. No energy, no start up. So in these cases, you need to learn how to replace the batteries. If you carry a spare battery, it can be easy as one, two, three. All you need to do is unbolt the negative terminal post then the positive one. If there is any ground wire, you will also need to remove that too. Once done, just place the new batter in the same way. You just then need to tighten the bolts of the battery and you’re done. 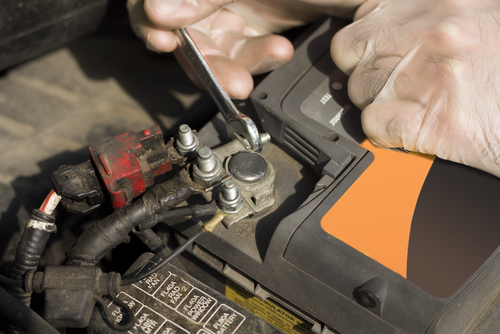 There are certain companies that allow for the sale and delivery of tires wherever you are so you might always want to check if you can order the battery if your battery is dead. Another reason why a car won’t start is because of the spark plugs. Spark plugs are part of a car’s engine that creates a small spark to cause the internal combustion of the gasoline which in turn makes the engine of our vehicle to start running. This is crucial as an engine that can’t cause an internal combustion is not an engine at all. If you find your spark plugs gunked up or misfiring, it may be the time to replace your spark plugs with brand new ones. Now unless your engine is so far back that you can’t access it under normal means, replacing spark plugs should be an easy task. Simply pop off the covers of the spark plug. Then unscrew the old spark plugs, then simply replace the new ones into the socket then pop back on the covers of the spark plug. As with any engine-related problems, make sure to check if the car is still misfiring or is it able to read na? 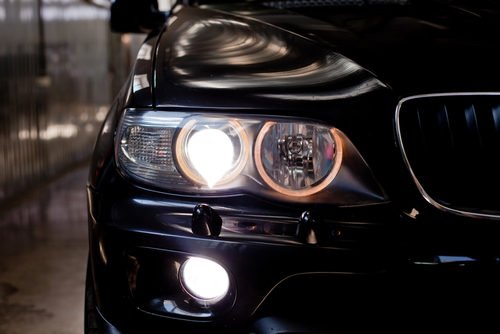 Your car may be running smoothly but at one point or another the head lights and tail lights on your car may stop functioning for some reason or another. More often than not, the problem lies with the bulb itself dying and needing to be replaced. You cannot leave head lights or tail lights not functioning as it could cause confusion on the road as many are dependent on fully functioning head lights and tail lights. First find out what kind of bulb you need. This is dependent on the make and model of the car. Most often than not, this part is described in your car’s users manual. You may also want to try contacting the official distributor of your car brand and they should be able to assist you. Once you have the right bulb, you can normally pop the lights out from the back of the housing and then unplug the bulb. Please make sure that the engine is turned off when you do this to avoid any accidents. Then just you need to slide the new one in and you should be ready to go. You also have the option to bring your car to a car service company or to the official distributor to ask for assistance in fixing the lights on your car. There are many other common car problems such as air conditioning not working or a busted side view mirror. These all require some sort of maintenance and as a car owner, these are some of the things you need to be aware of and should be able to address. Make sure to do daily maintenance of your car and always, always try to learn more about your car and how it functions so that you’re not left stuck hanging unable to proceed with fixing your car simply because you don’t have any prior mechanical experience.